Location, Location, Location. This classic entrepreneurial and real estate maxim is prominent for a reason. Choosing where to put your operational headquarters is never an easy task, but it has always played a crucial role to achieving your bottom line. It requires a lot of consideration, energy, and time. For many business owners, location could be the difference between success and failure. Whether you’re opening a physical office for your business or putting up a flexible workspace for your employees, location ultimately affects your expenses and revenue. When looking for a spot to set up your operations, remember that it’s more than just a physical workspace. Choosing a business site is all about setting your company up for success. 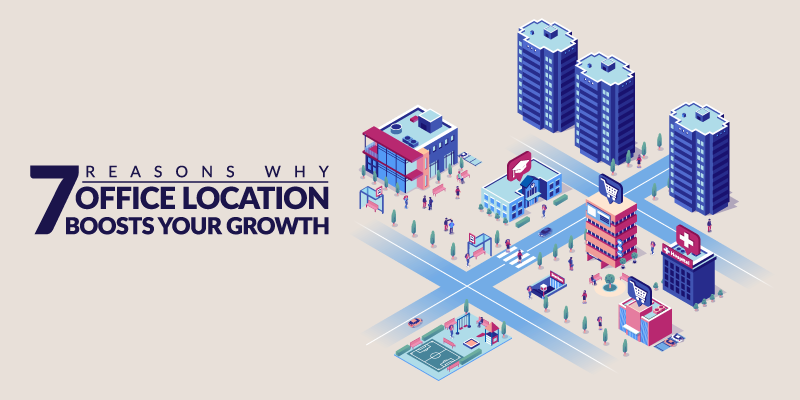 This visual graph lists down the reasons why office location is important for your business’ growth. Your brand’s visibility goes beyond your ranking in Google search results or the prominence of your billboards along main thoroughfares. Your office location also plays a crucial role in retaining and drawing in more customers. Sure, your headquarters be situated in the heart of a business district, but what if it’s hard to find? Putting your business within the vicinity of major roads that are known to most people and can be conveniently located, can help you attract new customers each day. Growing businesses know that brand presence largely contributes to success. You need to be where your customers are and make it as easy as possible for them to find you. Businesses that are easily accessible by car or public transportation have better chances of acquiring and retaining customers. Putting your customers’ convenience is important, but you should always place the welfare of your employees at the forefront. Location is one of the factors that draws in skilled and top talents. In fact, location and/ or convenience of commuting is the fourth out of five things job seekers consider before accepting a job offer. If you want to fill your team with hardworking professionals, choose an office location that’s accessible by both private and public transportation. More importantly, setting up your business in a location that’s well-suited to your industry can attract the kind of people you want to work with. Some businesses fail to think about zoning restrictions when looking for potential business locations. City ordinances and zoning restrictions affect how you run your business since there are policies that may deter your business operations. They determine what activities are permissible in certain places. Additionally, some locations offer special government incentives to help you reduce business costs and taxes. The closer you are to your suppliers, the lower the costs are for their delivery, and the quicker your products can get to your customers. Additionally, when you unexpectedly ran out of supplies, it would be easier and faster to get new stocks. When location planning, businesses must study the foot traffic around the area. Monitor the facility at different times and days to find out the peak and slow hours. You don’t want your office to be hidden in a corner where potential customers are likely to pass around you, do you? One of the factors that often gets overlooked when location hunting is parking space. Businesses who are thriving because of their location have done their market research. Those that have adequate parking spaces have likely found that a significant number of their clients come by car. The same goes for your employees. Having secure parking areas makes it more convenient for your employees to go to work. They don’t have to pay steep fees just to be able to bring a car to work, nor do they have to worry about their vehicle’s security. All they need to do is come to work on time and focus on their daily tasks. Before you begin your search, create a budget plan for this imminent expenditure. This is one of the most important factors to consider, especially if you’re a new business with financial constrictions. So, how much can you afford for your company headquarters? In a nutshell, you’ll want to calculate the monthly rent or leasing costs, taxes, average utility expenses, infrastructure and interior modifications, additional upgrades and installations, other building fees, and more. You can reach out to the previous tenants or owners about their average monthly so you can have a rough estimate of your impending expenses. Of course, you must take into consideration that each business has unique operational requirements, so the costs may differ. Think about what you plan to use the office space for. For instance, retail businesses need a storefront and street access will be beneficial. On the other hand, back office operations may do well with a flexible workspace that features a couple of meeting rooms and adequately sized desks for the employees. On average, an office space should have about 194 square feet per employee. Do also consider the potential growth of your business. You might think it’s reasonable to settle for a small space since it might be cheaper, but what if expansion is in the horizon for your company? You must think about how the site can grow with your business. Otherwise, you might find your company in a confined space. Visual aesthetics can help narrow down your prospects. If your business emanates a vibrant and collaborative culture, then a traditional space with enclosed offices might be a little off-beat for your company. Perhaps a modern style or contemporary building can mesh better with the image you’re trying to portray. 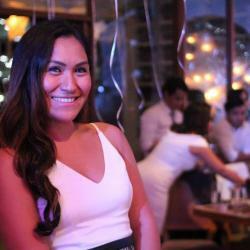 Like it or not, it’s a matter of maintaining your brand’s character in the business world. This is what attracts clients and customers. If you expect to host meetings with clients, you need to make sure that your office also leaves a good impression. An exciting and prosperous site that meshes with your brand’s reputation can help your business thrive in a competitive landscape. Just like when hunting for any property, it’s also important to look beyond the commercial aspects of an area. Of course, you want to be situated in a safe environment to ensure that your employees and customers feel safe and secure. Ask about the crime rate in the city or district. Check out what the surrounding neighborhood is like. You can also talk to other local businesses to know if break-ins, petty misconducts, vandalism, or other crimes are common in the area. Extensive and proper location planning is essential. Not only are you looking for a home for your organization, but you’re looking for a place that can nurture your vision and cement the future of your business. You don’t need the most expensive location for your business. You only need to pin down the one that is situated at a strategic area which can help your business operate efficiently and effectively. So do your research, study your options, and prepare yourself to make one of the most critical decisions you’ll ever make for your company.